The Los Angeles area has plenty of wineries, and this weekend you could spend an afternoon driving around to check them out—or you could take a Lyft downtown and spend several hours at LAWineFest without worrying about who’s going to drive home. LAWineFest is held at Market Row, which is an outdoor lane in the shadow of a bunch of revitalized warehouses. It’s part of the ROW DTLA complex (777 S. Alameda St.), and there’s a designated drop-off and pick-up area for car-sharing services. The wine-tasting event, now in its 12th year, is happening Saturday, June 17, from 2-6 p.m., and Sunday, June 18, from 1-5 p.m . General admission tickets ($75 in advance, $90 at the door) include a commemorative glass, which you can use for unlimited wine and craft brew tastings. A limited number of all-access tickets ($106.50 in advance, $120 at the door) are available each day, and those include additional tastings from boutique wineries that produce less than 2,000 cases of wine a year. All ticket-holders receive complimentary bottled water, coffee, and bread. 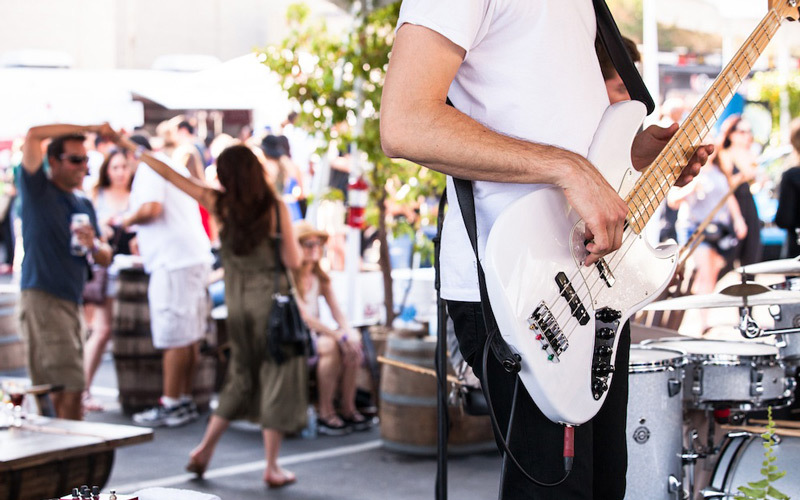 The fest bills itself as “LA’s Signature Celebration of All Things Wine,” and this year, in addition to scores of wineries and craft breweries, you’ll find live music, food trucks, and booths selling gourmet goodies and artisan merchandise. You’ll also have the opportunity to vote in the LAWineFest Popular Choice Awards, a.k.a. the perfect excuse to sample as many wines as possible. You’ve got to taste them to know if you like them, right?